Hey there! 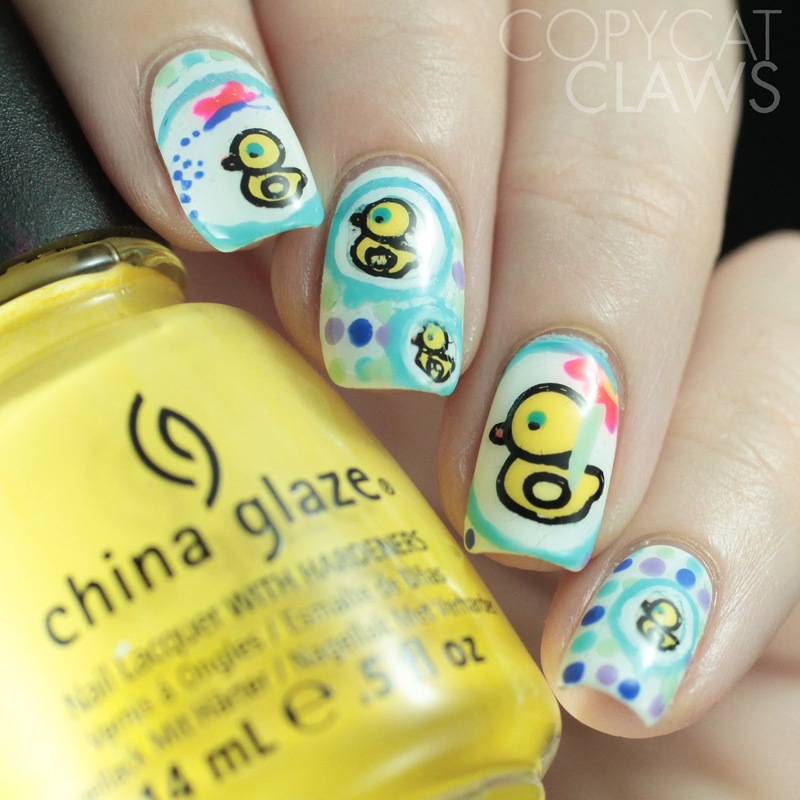 This week's Nail Crazies Unite theme is way too appropriate for me. We're doing Blue, White and Silver Winter and trust me, we're in a deep freeze of winter right now! It's -30 C in Edmonton. Everyone is complaining about the cold, me in particular. The pipes froze and burst in my apartment so I'm typing this up without heat. Luckily it's so hot in here regularly that there's residual heat so I'm not freezing to death. For my mani for this week, I used some snowflake stencils from Whats Up Nails. 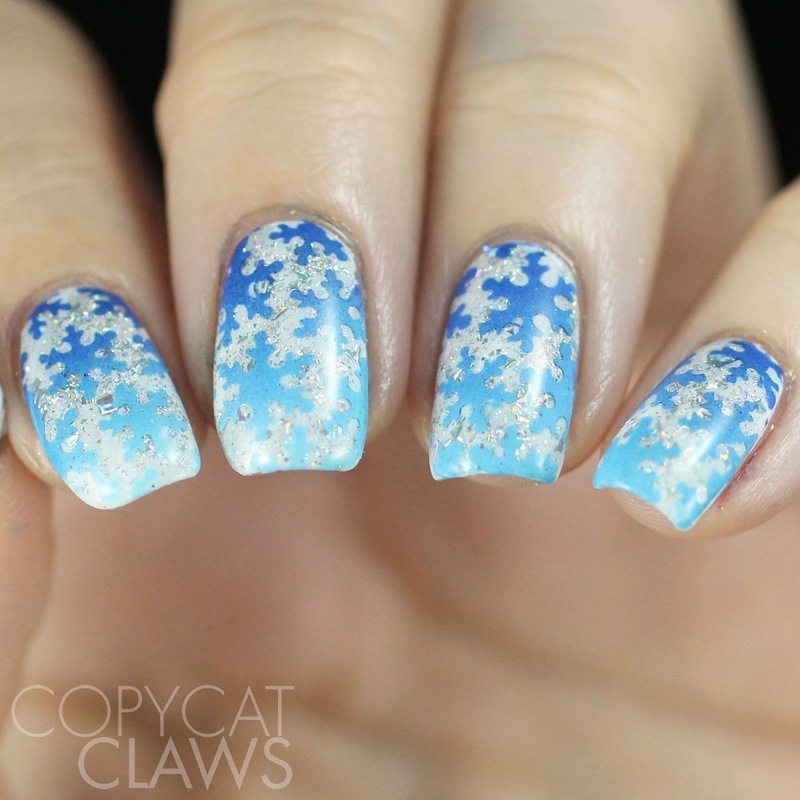 I think they turned out perfectly winter-y. Hey there! This month is a big Digit-al Dozen birthday month. Three ladies celebrated birthdays in December: Kristi from Begin Nails, Kerry from Painted Fingertips and Cathy of More Nail Polish. 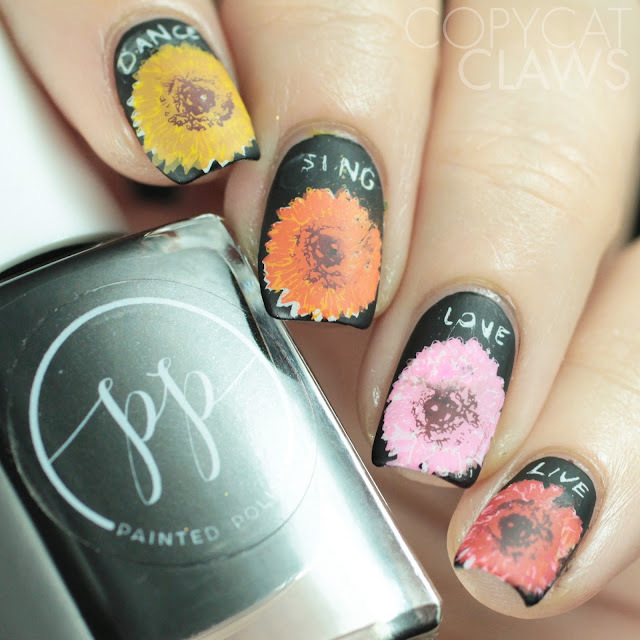 The ladies picked an adorable image for our inspiration this month...but one I couldn't even try to do with stamping so I had to freehand...gasp! It's a bit messy but hopefully they know my heart was in the right place! Hey there! I hope everyone had a great Christmas (or Monday, for anyone who doesn't celebrate). Mine was quiet but wonderful. My family had dinner Christmas Eve so I had no plans for Christmas evening so my bestie and I went and saw Star Wars. For my first day back on the blog this week I thought it'd be a good time to share a couple of New Year's-themed manis I've done with some Whats Up Nails stencils. I used the Confetti, City and Confetti stencils for these. 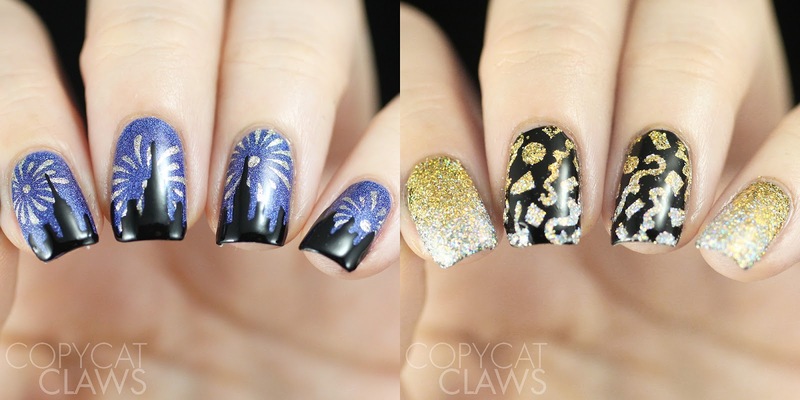 I don't think they're necessarily limited to being worn on New Years (at least I hope not since I did these earlier) but they'd definitely be party appropriate! Hey there! 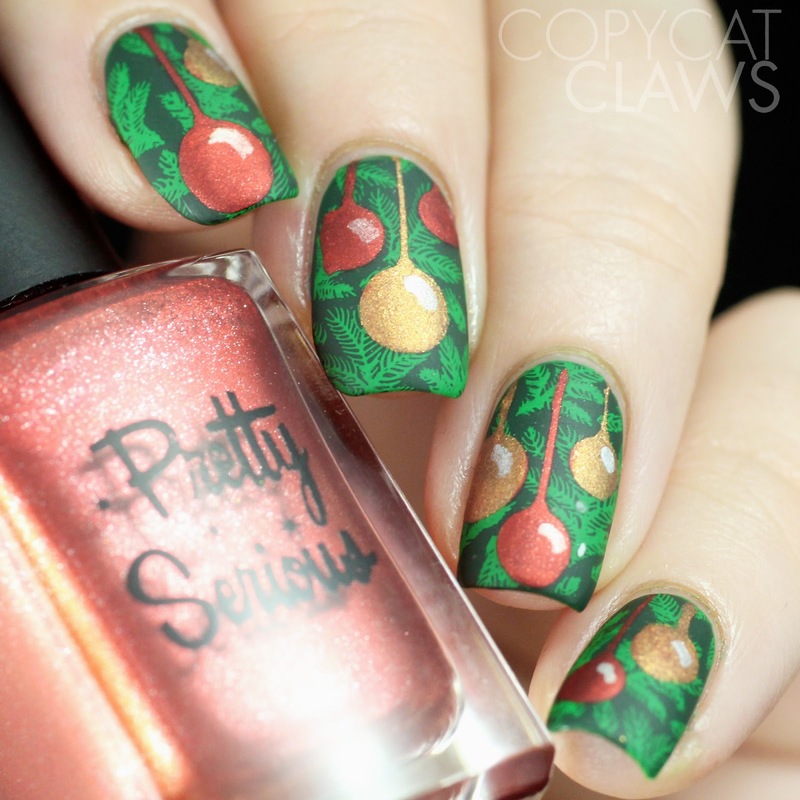 For what is likely going to be my last post before Christmas, I have my contribution to the 26 Great Nail Art Challenges for this week. 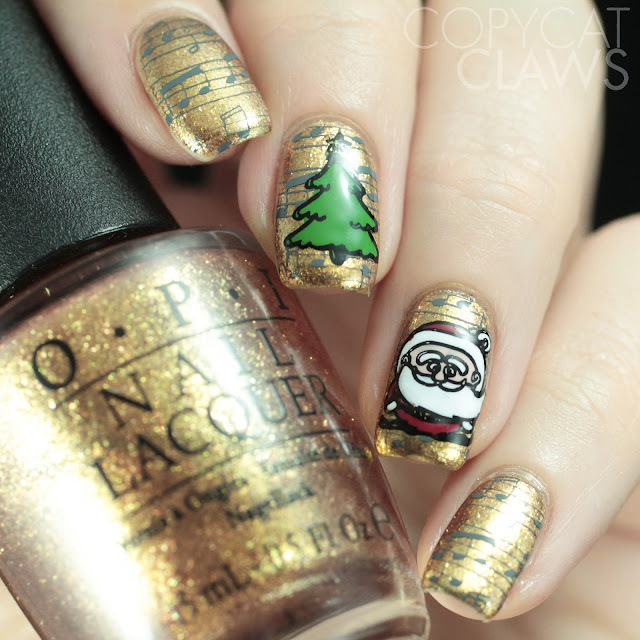 The theme is "Christmas (or other holiday) Childhood Memories". My family doesn't have any really unique traditions or anything, just the standard cookies left out for Santa, turkey dinner and, of course, the Christmas tree. I loved helping decorate it when I was little. We had lots of different ornaments that my parents had bought/received over the years. Now our tree is a bit more uniform but it's still certainly the centrepiece of our Christmas. Hey there! 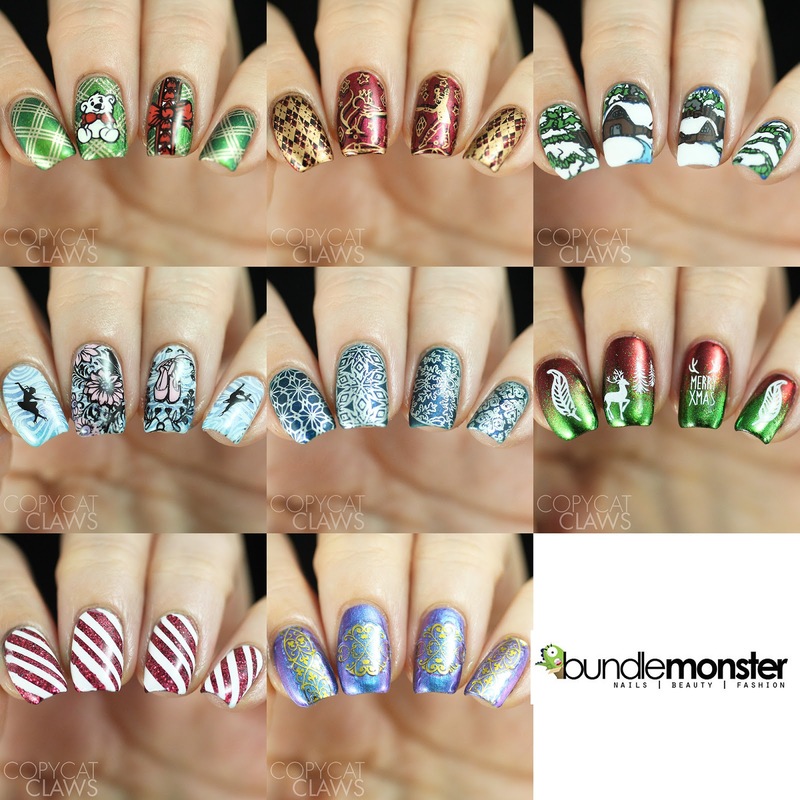 Since the holidays are still upon us and I have a few manis I've worn recently and haven't posted, I thought I'd share them as another instalment of the Nail Challenge Collaborative Winter/Christmas month. 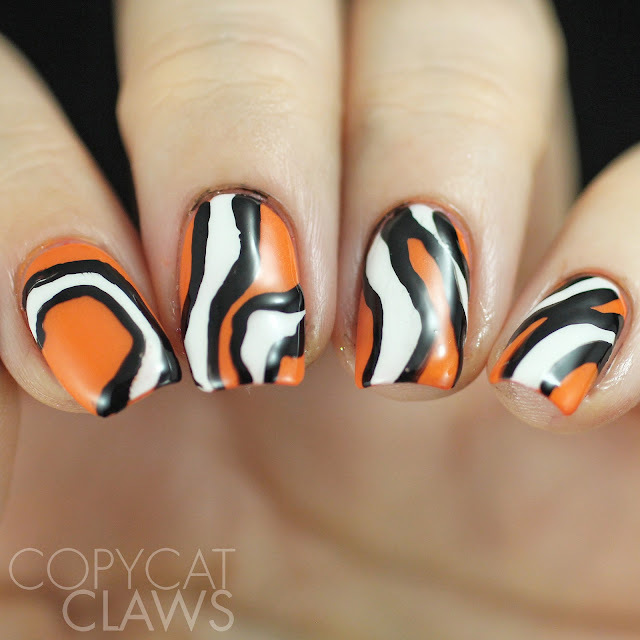 Two of these are stamping (obviously...as if I could ever have those freehand skills) and one is a dry marble that I did originally did for last week's Digit-al Dozen My Home week but decided not to use. 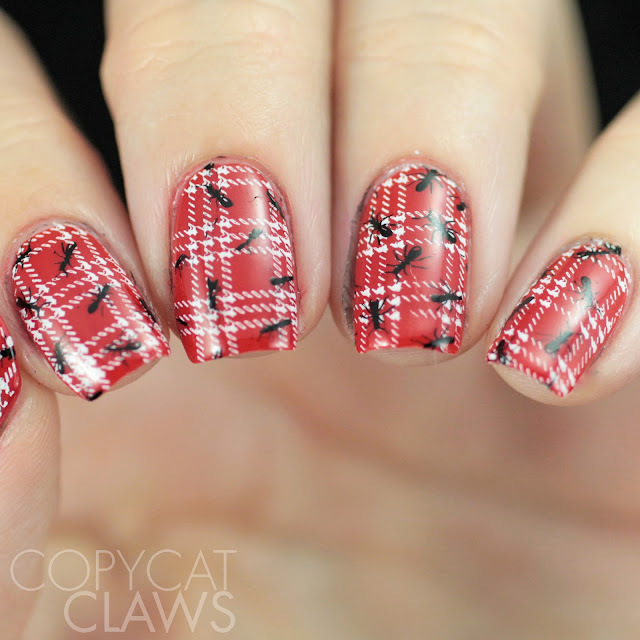 It ended up reminding me of peppermints and, since I'm currently eating a candy cane, I thought I could mix it in with my Christmas manis. Hey there! I have a really exciting post today. I'm someone who is always on the look out for new stamping polish, especially 3-free ones I can use as regular polish, so I ordered some of the Esmaltes da Kelly stamping polish from Beautometry. Since this is a Brazilian brand, Beautometry is the only place I know to get these in North America. 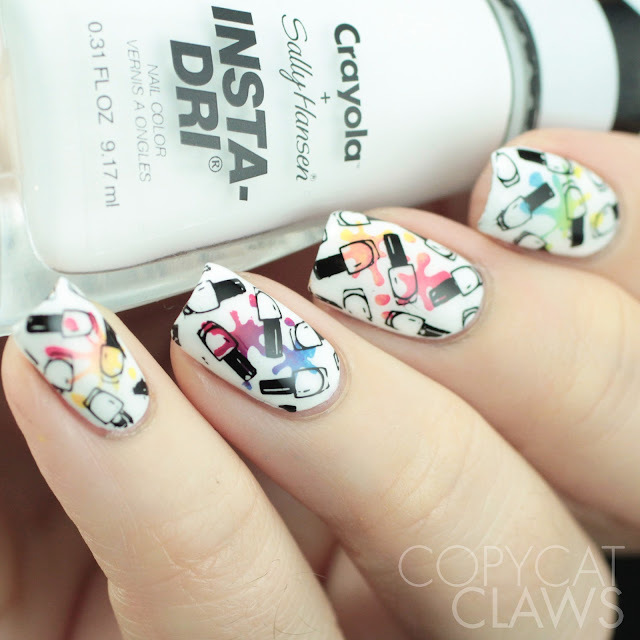 Maybe you've seen me use some of these already in other nail art and stamping lately. I hadn't seen many stamping swatches of these so I offered to swatch the ones I bought and the lovely owner asked if I'd swatch extras as well (and I happily agreed). 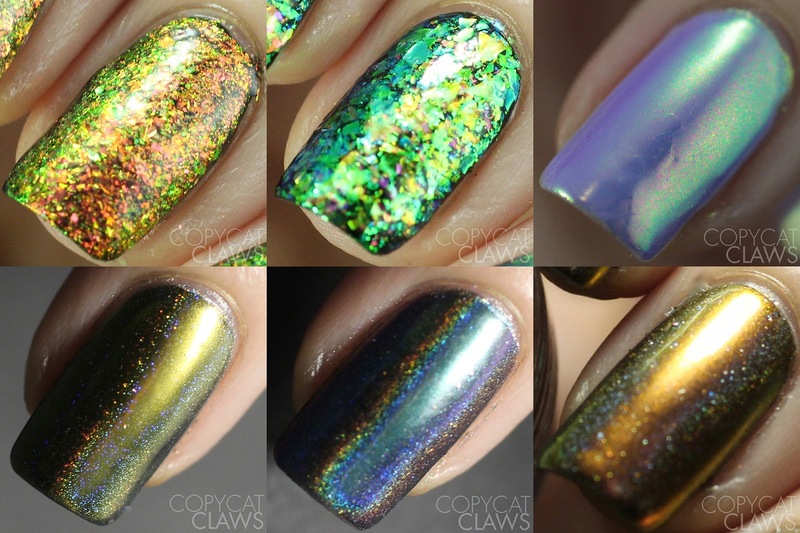 She sent me the ones they had in stock from the Animals (cremes) collection and Nebulas (holographic) collection. 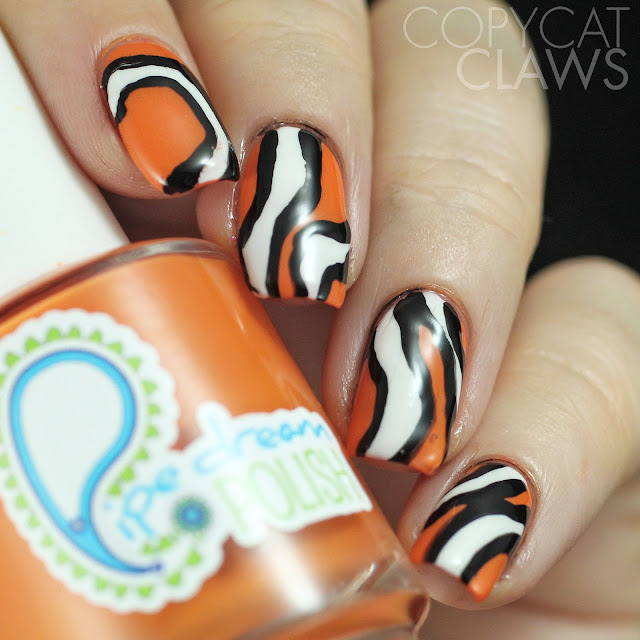 I hope my photos demonstrate the stamping ability of these polishes and help you decide between similar colors. There are a few more than I could fit in my collage so keep reading to see them all. Hey there! 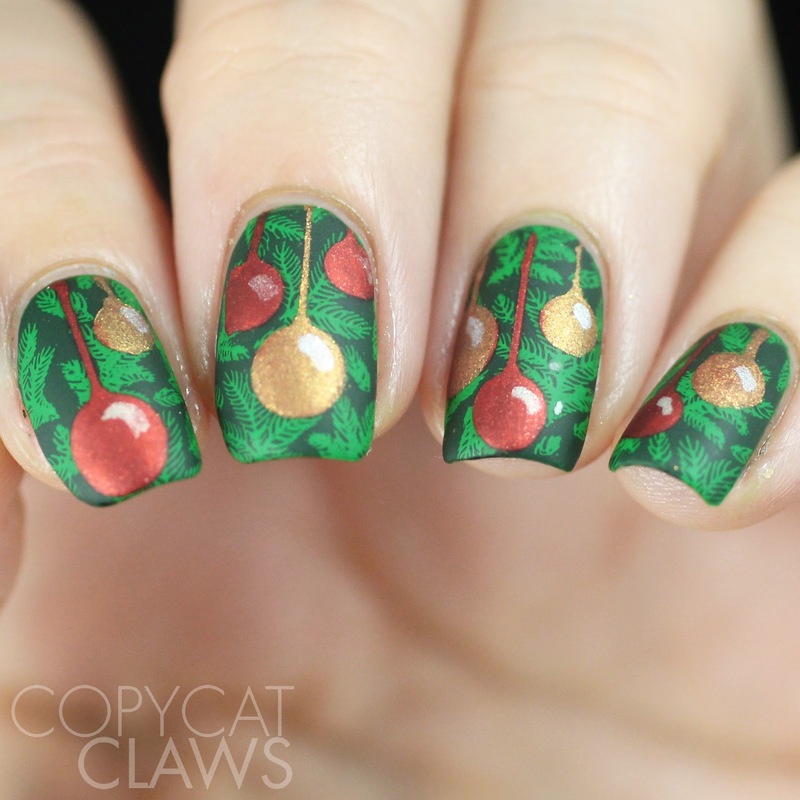 Since a few of the nail art groups I'm in are having holiday themes this week, I thought I'd do a Christmas-themed mani for my final Digit-al Dozen "My Home" post. 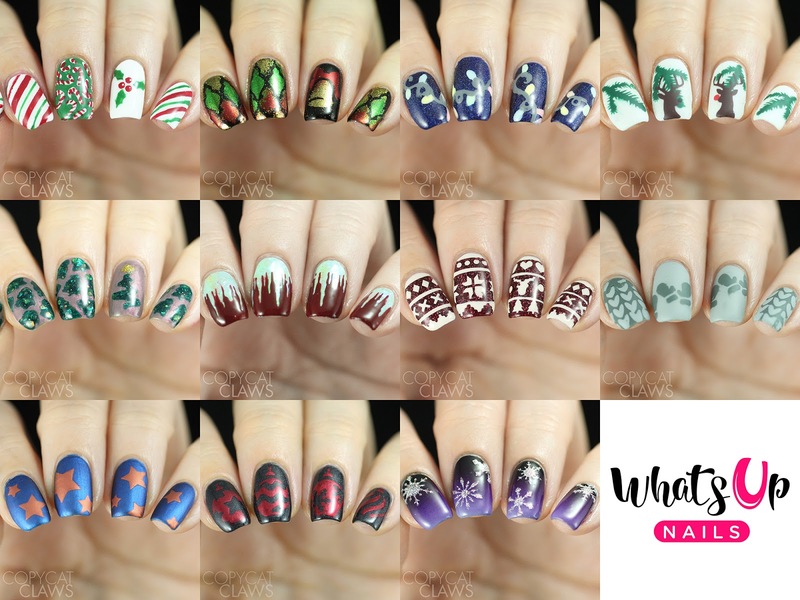 It also happens to be the Nail Crazies United December Holiday day AND the Winter/Christmas month for Nail Challenge Collaborative so it's the perfect day for some holiday-themed stamping. These were inspired by some dancing Santa's my aunt gave me and my sisters last year. I don't know how she found three of them (all different) but they're delightfully tacky. They play music and dance (or skateboard) and are just generally awesome. I wish I had a video to share but I forgot to take one. Hey there! 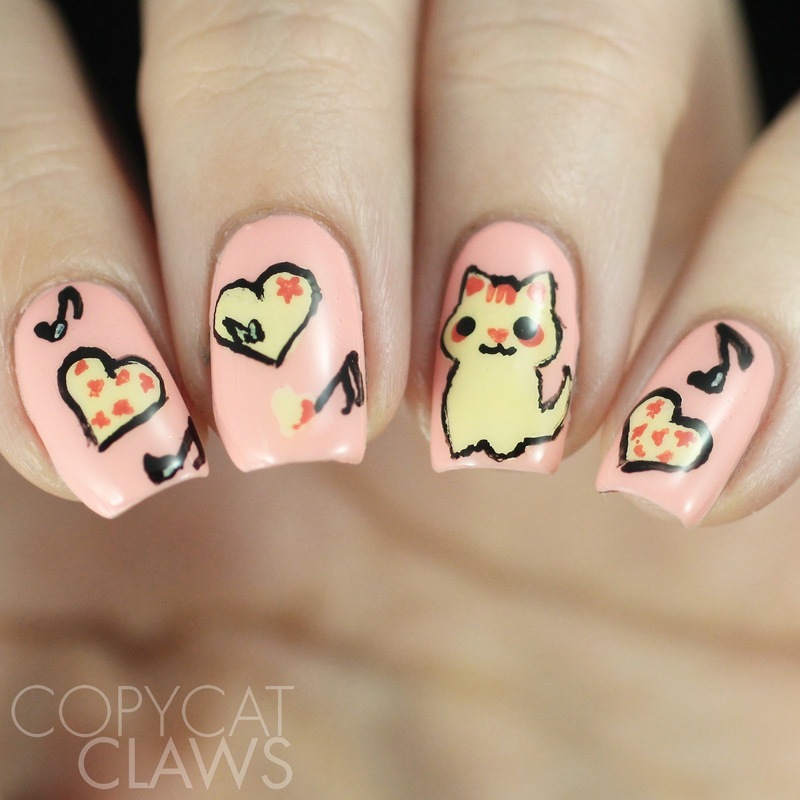 I just realized that today's Digit-al Dozen mani is the second one inspired by curtains. But this one is a shower curtain. From the looks of it, you would think I have children but you'd be wrong. I just like cute things. They keep me young! Hey there! 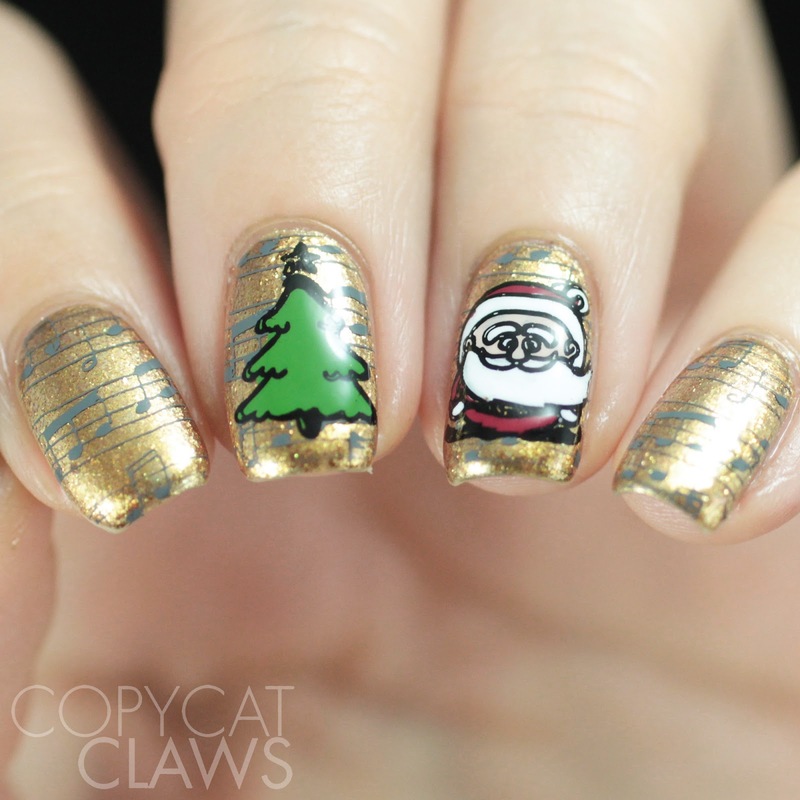 I realize I'm cutting it a bit close to Christmas to be posting nail art items available for the holiday season but these were too good not to share. And there's even some general "winter" items in here which could be used for months yet (at least here in Edmonton). Since I first tried Whats Up Nails stencils, I really haven't looked back. The amount of "stick" to them is perfect for me and they're cut in such a way that I usually don't have to pick the little pieces out (there are exceptions which I'll discuss but they're rare). So I was really excited when I got an envelope with a pile of Christmas and winter stencils...and a little concerned that I wouldn't have time to use them all. I've been having a lot of fun playing with them and I finally get to show you a bunch of the stencil nail art I've been wearing over the last few weeks, right up until last night. Prepare to be holiday'ed out! Hey there! The title of today's post says it all. Since this week The Digit-al Dozen are doing "My Home" manis, I couldn't resist doing one inspired by my main hobby (and therefore space-taker). I don't have a "nail room" like some ladies so I have nail polish everywhere. It's stored in my living room and in my bedroom. There's binders of plates on my TV stand. There's nail art supplies under my bathroom sink. I've even found nail polish drips on the kitchen floor (I really don't know how those got there). Needless to say, there's not a corner of where I live that isn't taken up by my one true love. Hey there! It's time for a new Digit-al Dozen month...and this time we have a new member. Michelle from Lacquer Or Leave Her is an amazing nail artist so I'm excited that she agreed to join our little group, just in time for our "My Home" theme. This prompt could be interpreted a few ways. I personally just looked around my living space and picked up some inspiration. 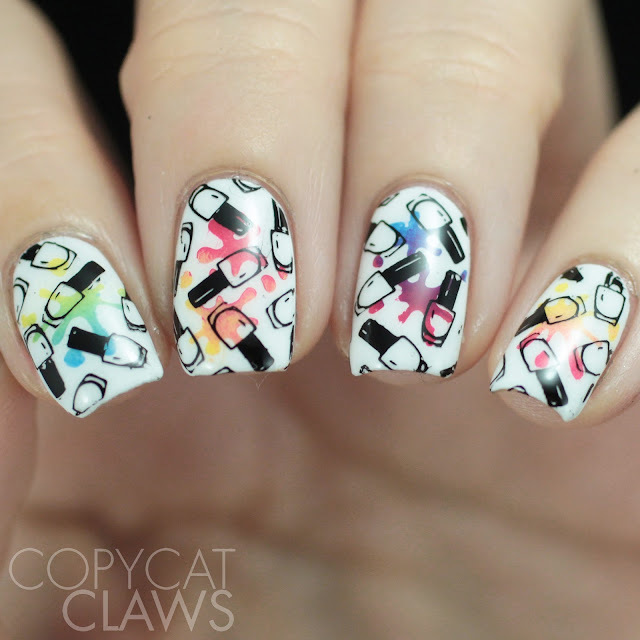 My first mani is based on some curtains my mom made for me when I moved into my first place. I was afraid everything would end up too neutral coloured and I didn't want to live in beige-land so she made me some bright blue curtains with rainbow stripes. 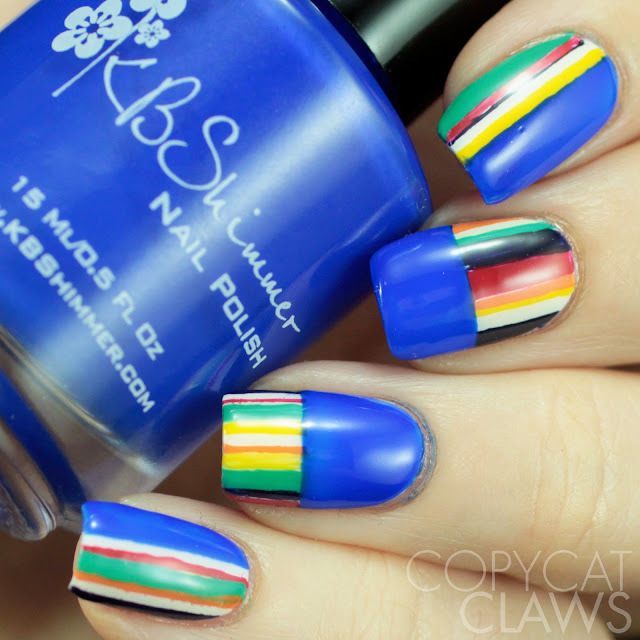 Turns out I've always like rainbow-y things and stripes! I still love them to this day. Keep reading to see the curtains in question. Hey there! Some of your might have heard that there's a new nail art kid on the block. 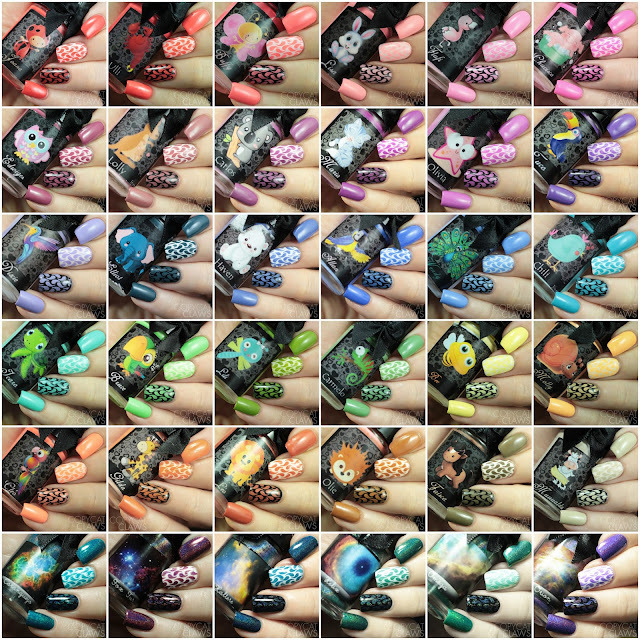 Beauty Bigbang is an overseas company with VERY affordable nail art products. They approached me awhile back to see if I wanted to try any of them out. I received a couple Chameleon Flakes, their version of Aurora Unicorn powder and three holographic/multichrome Peacock Powders. All of them worked easily and I really like the effects they produce. 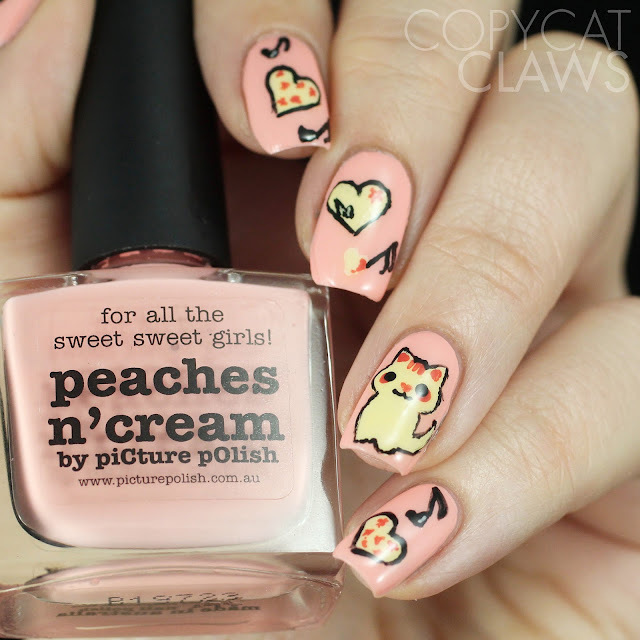 They were also nice enough to supply a coupon code (CLAWS10) to save 10% on all your orders. Keep reading to see all the details and for the links to the products. Hey there! Today the 26 Great Nail Art Ideas group is having a fun theme - insects/bugs! It's not a particularly seasonal one for me since we've had snow on the ground for over a month so most of the bugs are long gone. BUT I just so happened to have done an ant mani for my summer holidays this past summer and I forgot to post it so you're getting to see that today. 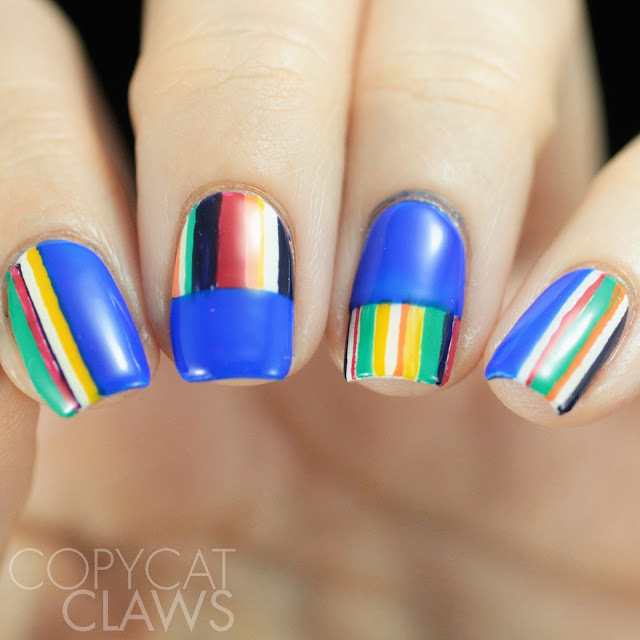 I should've done a new one but I've been sort of nail-lazy lately...sorry! Hey there! 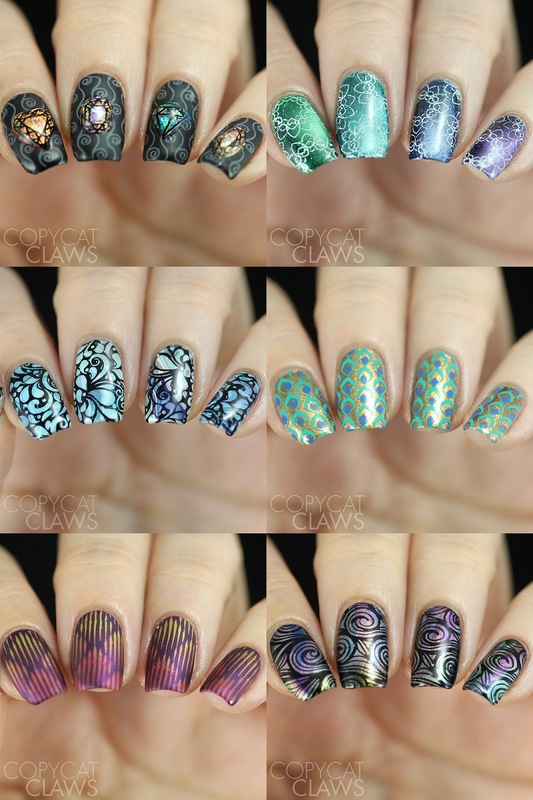 Today I have a few of the newest plates from UberChic Beauty to show you guys. Almost two whole weeks ago (I've been slow on this one, I know) they released the latest collection AND a collaboration plate with JayLynn of @gotnail called Got Chevron?. While I'm always the most pumped for new collections, my sister who pretty much only stamps her nails with chevrons was excited to see a whole plate of them. I've done a couple manis with each plate and, while I do enjoy the chevron plate, the collections still have my heart. Which are you more drawn to, the sets or the individual plates? Hey there! 'Tis certainly the season! I recently received such a nice package of nail art items from Bundle Monster to review and almost all are holiday related so I thought I'd put them in one giant post. Dearest to my stamping heart was The Nutcracker stamping plate set. I've seen people directly ask for Nutcracker-related plates so it's awesome that Bundle monster came out with an entire set! There was also a holiday set of rub-on decals, holographic vinyls and foil nail art stickers (which I believe are actually water decals...at least that's how I used them). AND, for any of you who suffer from latex allergies but still want mess-free nail art, Bundle Monster has also come out with a latex-free barrier. This is a big post so let's get to it! Hey there! It has been a few months since Delush Polish's last collection release but this one is well worth the wait. This most recent collection, Legion of Thrones, is the third instalment in the tribute to our favourite Game of Thrones characters. 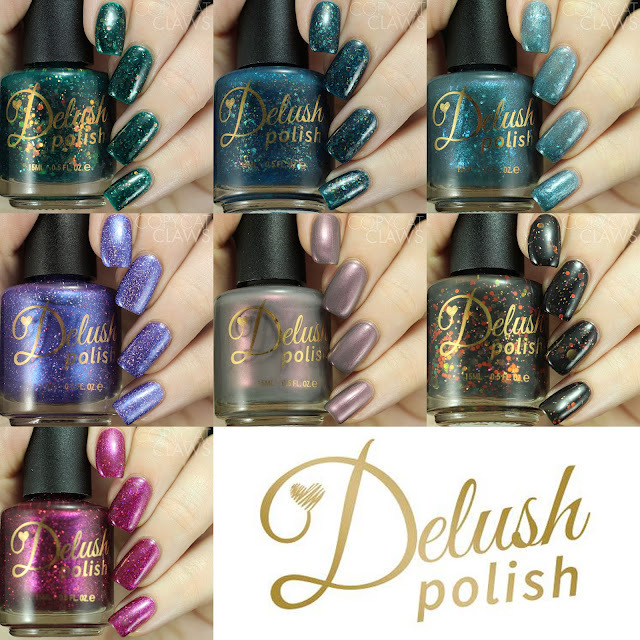 You can tell it's a complex show when Delush has come out with this many beautiful polishes related to it without any overlapping. Legion of Thrones is a 7 piece set. They all have Delush's impeccable 5-free formula but the styles are so different. I varied collections like these. There should be something that anyone can fall in love with. Keep reading to hear all my thoughts. Hey there! 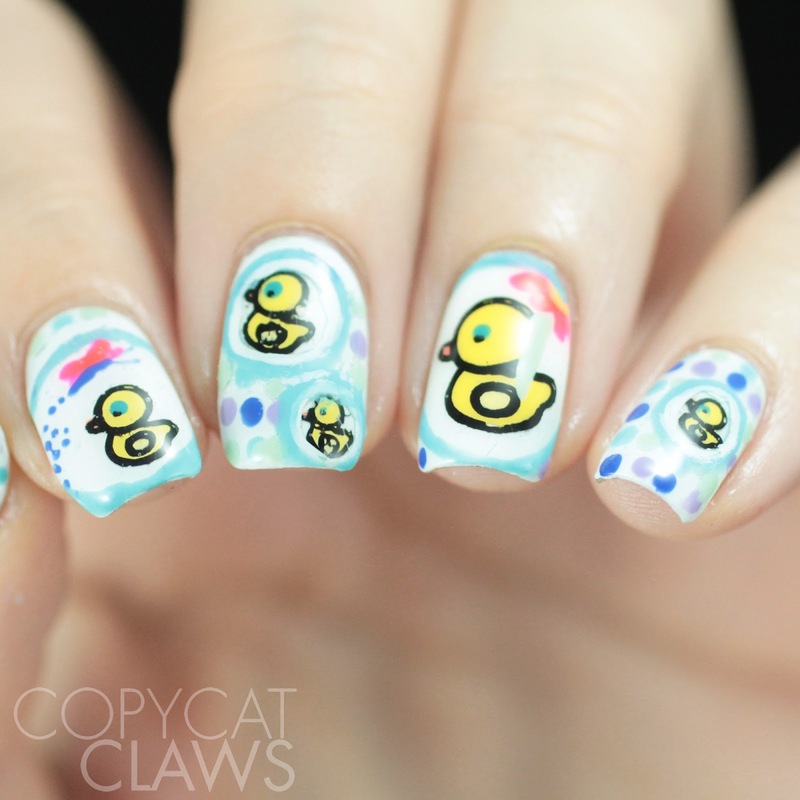 Today's Nail Crazies Unite prompt is a fun one. 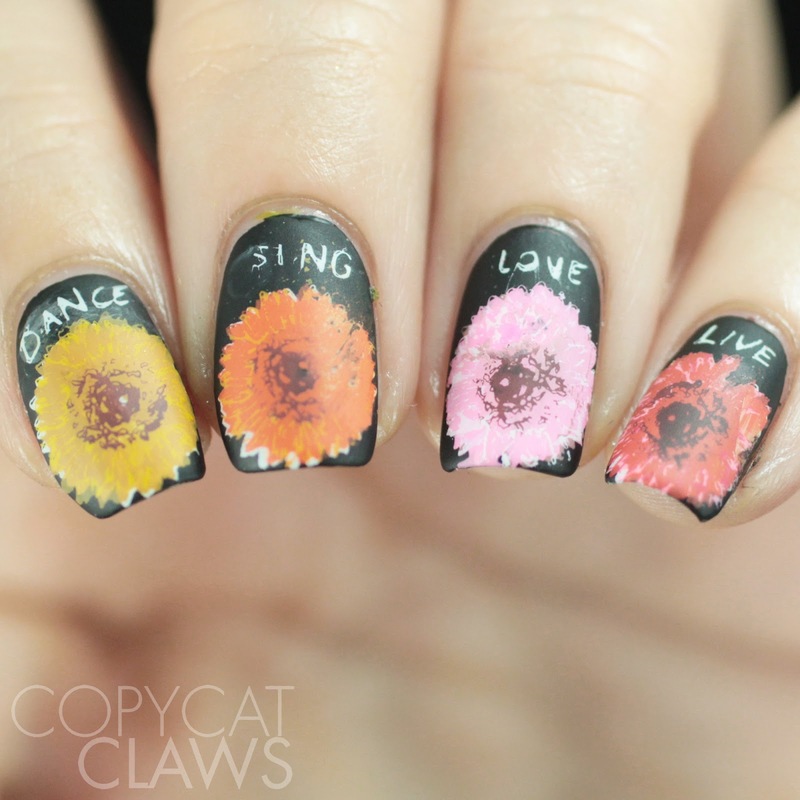 This week we're doing nails inspired by Pixar movies. I really wasn't sure what movies are Disney and what are Pixar so I hit up the Google machine. Then I had to think of what I could actually accomplish with my own two hands! I knew I don't have any Pixar stamping plates so I had to freehand something. At first I tried to do Slinky Dog from Toy Story but what a mess that turned out to be!! So I went simpler and did some easy Finding Nemo nails which turned out much less nightmare-inducing than that poor Slinky Dog!